Does Open Data Build Trust? Rising ninth-grader Demond Fortenberry opened his first city data set: “Use of Force” records created by the Public Integrity Bureau at the New Orleans Police Department. As part of a three-day event engaging youth to build apps on top of soon-to-be released policing data sets, he was one of the first New Orleanians to ever see these records. With just 10 hours of coding class under his belt, Demond cautiously scrolled through the data. Horizontally and vertically. He read out the attributes as he went. Male. Male. Male. Female. Black. Black. White. White. Eight years employment on the police force. Age: 19 years. Age: 42. Taser. Canine. Handgun. As he began to get his data sea-legs, Demond talked about the patterns he noticed. He looked up one of the incident locations on the web — and nodded when he recognized the gas station where the use of force had occurred. He started to ask questions. Why do all of the addresses end in zeros? Were there really nine 29-year-old residents involved in this single event? Normally, such questions might go unanswered. But on this day, the City’s Chief Information Officer was in the room. CIO Lamar Gardere — himself a graduate of the Demond’s high school — came over and sat down. Addresses are rounded to zero for privacy issues, Lamar explained. As for the nine 29-year-olds? The answer was more complicated. Draft releases of open data are always a little rough around the edges, so Lamar said he’d bring Demond’s question back to City Hall for investigation. The solution could be in fixing the software to prevent duplicate entries, or releasing the right set of additional attributes to distinguish these records from one another. Demond moved on to the next data set: 311 calls for service. As the conversation turned to the bumpy reality of New Orleans’ poor street conditions, he scrolled past legions of unresolved requests to fix potholes. And then Demond stopped talking. He figured out how to filter the 311 requests by neighborhood. Gentilly Terrace. Then he sorted by request type. His face lit up with a huge smile as his finger pointed to a single row in this very large data set. My grandmother ordered a recycling bin. It came a few weeks ago! He looked around and motioned for others to come see. That’s my grandmother’s recycling bin request! A small crowd huddled around Demond and his laptop, marveling at the discovery of his grandmother’s Painters Street address. In true New Orleans fashion, we celebrated. 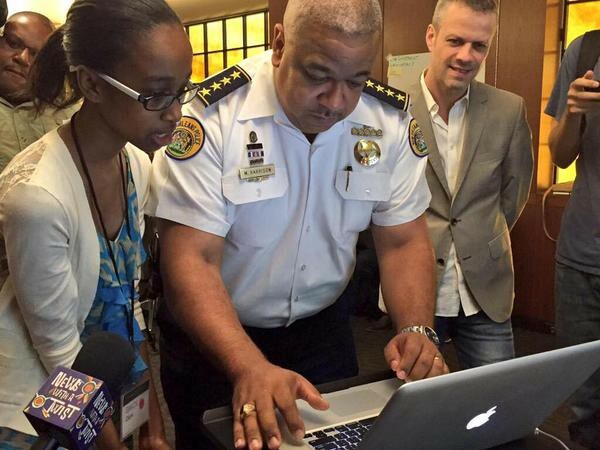 Emboldened by the Police Chief’s show of coding solidarity, Demond and his older sister Dia spent the following two days building an app on NOPD data that allows users to visualize police 911 calls for service during events such as Mardi Gras and Saints games. I’ve been in the field of open data for nearly 15 years — in fact, before open data was even called open data. As a New Orleanian, I experienced that intense feeling of distrust after Hurricane Katrina when we couldn’t access the government data we needed to make important decisions. I walked door to door in storm-damaged neighborhoods vetting private-sector data sets that filled the gap where open government data should have been. Five years later, I jumped inside local government to help launch New Orleans’ open data initiative, and saw the dialogue about fighting neighborhood blight improve dramatically when the city opened code enforcement data. In short, I’m a true believer in the power of open government data for building trust with the public. Until meeting Demond last week, though, I’d never witnessed the moment where trust is born. 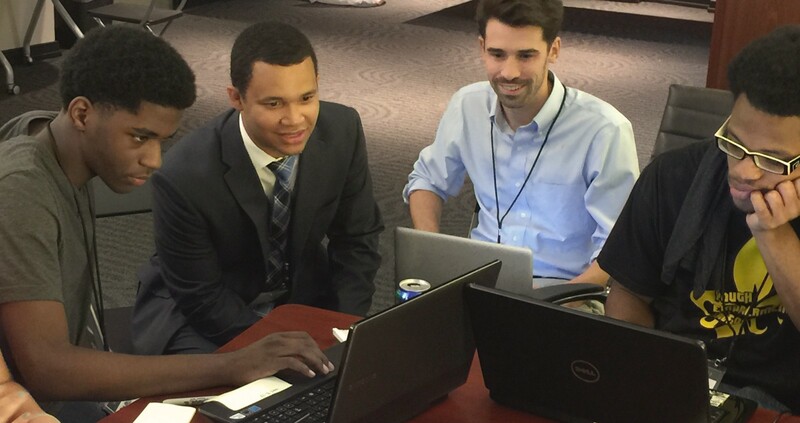 On July 13–15, 2015, nonprofit Operation Spark hosted a three-day coding event where the New Orleans Police Department and City of New Orleans Office of Information Technology and Innovation released a preview of four data sets to a group of 15 young coders and their tech mentors. This event was a key element of New Orleans’ participation in the White House Police Data Initiative, where local law enforcement agencies commit to opening data on policing as a means to build community trust. The author, Denice Ross (@denicewross) is a Presidential Innovation Fellow (PIF) who is co-leading the White House Police Data Initiative — in response to the President’s 21st Century Task Force on Policing — with PIF Clarence Wardell (@cwardell) and White House colleagues in the Domestic Policy Council and Office of Science and Technology Policy. The Presidential Innovation Fellowship pairs talented, diverse technologists and innovators with civil servants working at the highest levels of the federal government to tackle some our nation’s biggest challenges. Apply at PIF.gov. Want to use your tech skills for good? 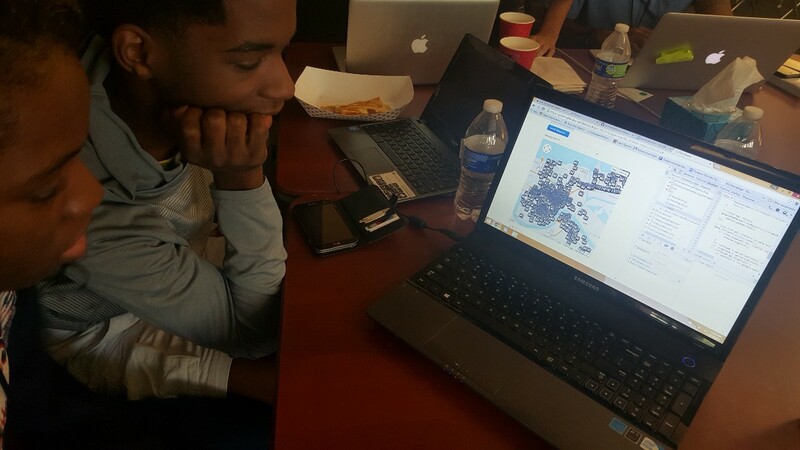 Mentor youth at code academies like Operation Spark — you’ll find them all over the country. Or bring your talents to law enforcement, local or federal government.